As animal lovers, we hate to believe that anyone would want to hurt an animal. But unfortunately animal cruelty is much more prevalent than it should be. Far too many animals fall victim to abuse and abandonment and no animal should have to endure cruelty and live in fear. All animals deserve to be loved and nurtured, and the good news is that there are ways you can help those poor pets that are mistreated. Here are some ways you can try to make a difference in the lives of animals that are abused and abandoned. With just a bit of effort and care, we can help to care for those animals that others have left behind. Fostering a dog or cat may be the ideal situation if you love animals but aren’t able to make the commitment to own one of your own. It allows the pet to be loved and cared for, in a nurturing environment, while arrangements are made to find them a forever home. Here’s some information to get you started if you think you’d like to foster a pet someday. There is an abundance of animals that are in need of a forever home. The sad reality is that if not adopted, some of these pets may go on to be euthanised. By adopting a pet you could be giving an animal a second chance at life. You’re opening your home to them, and in return you’ll be rewarded with unconditional level. A good place to start is to pay a visit to your local shelters. There’s no shortage of volunteer options available. You can volunteer at the local shelter and either work with the animals, or help with administrative work in the office or at a farm animal sanctuary. When we think of abandoned pets, we often think of cats and dogs, however farm animals like ducks, goats, chickens, cows, and pigs also need rescue and rehabilitation sometimes! If you love animals but simply have no time to volunteer, foster, or adopt a pet of your own, then donations to your local animal rescue are always appreciated. These can be used to buy food, supplies, and pay for vet bills amongst other things. Don’t think that money is the only option for a donation, either! Many places will accept used items like leashes, pet beds, and toys for instance. You could always also donate pet food. Here are some of our pet rescue partners, if you think making a donation is the right way for you to help out. We often don’t think of hosting fundraisers as they can be a lot of work, and a lot of the time people don’t think that they’ll raise much money. In reality, however, any amount raised for abused and abandoned animals is beneficial. Even if just one animal is saved from your fundraising efforts, it’s considered a win. Keep it simple; hold a garage or bake sale, and donate the proceeds to a local rescue group or shelter. Animals cannot speak for themselves, so it’s up to us humans to speak for them. You can start and sign petitions aimed at laws that protect chained animals or animals in puppy mills. Support organisations like Oscars Law and Voiceless that work tirelessly on behalf of animals around Australia. Laws can vary between municipalities, so educate yourself as to who represents the government where you live. If possible, speak at local government meetings and directly to policy makers so as to encourage strict anti-cruelty laws. Love your pets and show that love to others. This means lots of hugs and kisses. Make sure you get your pet spayed or neutered so that you’re not adding to the population of abandoned animals. If your pet is sick, take it to a vet and don’t assume it will get better on its own. Be the change you want to see. If you see an animal who has been mistreated or is in danger, report it as soon as possible. This is difficult for some people as it may mean reporting on a friend or neighbour, but it is necessary. Cruelty to animals is illegal, and letting it slide is dangerous. An animal appearing lost or abandoned. If you identify one or more of these signs, you need to report the situation to the correct authorities. Familiarise yourself with the groups in your area that deal with abused animals. 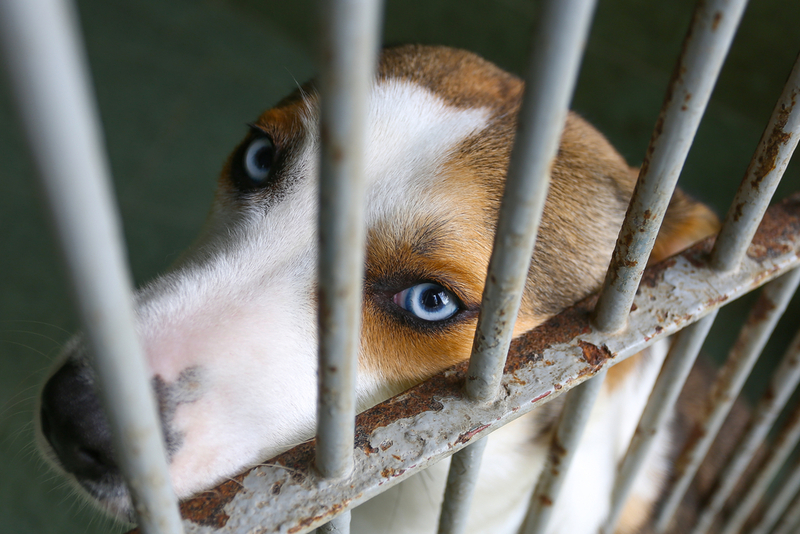 You can contact your local branch of a charity that prevents cruelty to animals, for a start. They can initiate an inspection, either with their own inspectors or through the police if necessary. If the animal is not properly cared for, the appropriate action will be taken. Make sure to note details when you notice suspicious behaviour, as it could prove vital to the investigations. /All animals are beautiful creatures that deserve and demand our love and respect. We should all do whatever we can to make sure that they’re treated properly and humanely.